Good luck to all the hunters out there on opening day for rifle hunting! If you want to donate your venison to those in need, check out the list of processors the Michigan Sportsmen Against Hunger (MSAH) put together. In the 2012 hunting season MSAHhelped facilitate the processing of over 30,000 pounds of venison into nutritious meals for needy families all across Michigan. That equated to over 150,000 hot meals for the hungry in our communities. 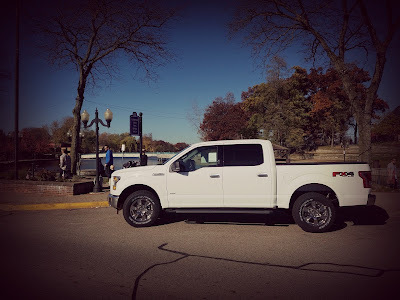 If you are looking for a new or used truck for your hunting trips, we have an enormous stock of new F-150, F-250, Super Duty, Dodge, GMC, used F-150, used F-250 and many other used trucks to fit your needs. If it’s just vehicle maintenance or an oil change that you are in need of, we have many specials and coupons that will help you save money on your next visit to our service department.